Okay, I’ll admit it: when I first came across this Versatile Blogger business, I thought it was one of those self-perpetuating scams, like those chain letters that people used to get in the mail, where they were instructed to photocopy and resend the letter to 100 of their closest friends or a piano would fall on them (yes, spam existed before the internet era). Upon closer inspection, however, I realized that the Versatile Blogger Awards are actually a useful tool for helping bloggers share their favourite bits of the blogosphere – much like the A ♥ for Language Blogs initiative by Translation Times, the results of which can be found here. Also, there was no menacing clause in the small print warning me that I had to produce my post within 24 hours or I would suffer the same fate as George Clooney. So that decided it! 1. I was born to a Dutch father and French-Canadian mother (which explains the name). Despite my multicultural background, my upbringing was mainly monolingual, in English – foreign language learning not being a priority in 1970s small-town Western Canada. All that changed when I turned 17 and decided that languages were actually kind of neat. I think one day I will write a post about that. 2. My hero is my Oma, who recently turned 100 years old, and until last year lived on her own and still cooked and cleaned with only a little outside help. Truly an inspiration. 3. I got my first grey hair at age 22, and it has been all downhill since then. But even if I make it to 100 like Oma, I will never dye my hair. 4. I am left-handed. My right hand is a useless appendage – so much so, that I even shampoo the right side of my head with my left hand. It’s not easy – try it some time and see for yourself! 5. I am an ovo-lacto vegetarian. This means that my life in Spain is full of restaurant meals consisting of tortilla española and ensalada mixta (“sin atún, ¡por favor!”). Arroz a la cubana (“¡sin salchicha!”) is also a good option. 6. I have the messiest desk this side of the Western Sahara. People who are used to me sending them instant replies to their emails (thank you, BlackBerry) are often surprised to find out that I can leave snail mail heaped on my desk, unopened, for months on end. If you don’t believe me, I will post a photo on my Facebook page to prove it. 7. I recently started doing yoga again, after many years away from my practice. When I signed up, I was given the option of doing yoga dinámico (which sounded scary) or yoga integral (which turned out to be a euphemism for “yoga for old biddies”). I immediately knew which one was for me – and now I spend every Tuesday morning doing yoga in the company of two lovely old German ladies (both of whom are named Renate, as it turns out). I am not going to use this post to tell you about the interpreting blogs that I read, since I’ve already done that in my A ♥ for Language Blogs post. Instead, I’ll share with you some of the other blogs I enjoy checking out from time to time. 1. Not Exactly Rocket Science – My number one all-time favourite blog. I love everything about it. I particularly like the Friday posts entitled “I’ve got your missing links right here“. It is part of the Discovery science blog network. 2. Lessons From Sherlock Holmes – One of the many regular guest blogs that make up the Scientific American blog network, it offers psychology lessons from the greatest detective in literature. 3. Project Syndicate – Another major blog network, with a politics/economics slant. With regular contributors like Joschka Fischer (The Rebel Realist), Joseph Stiglitz (Unconventional Economic Wisdom) and Jeffrey Sachs (Economics and Justice), it could fill a 15-item list of its own. 4. Grantland – This is going to make you think I’m weird (assuming you don’t already), but from time to time this sports/pop culture blog network actually produces some entertaining stuff. I must have read their article on cricket at least three times – and I laughed louder each time. 5. Alexander Technique, Creativity and Health – Written by my friend, the AT expert and author Pedro de Alcantara. Full of interesting tips for musicians and writers, or anyone curious to know more about AT. 6. O Retrovisor – This blog has recently morphed from an antique photo blog into a collection of literary quotes from different sources. 7. 300 Words – refreshingly short posts (in German). Very well-crafted and always insightful. 8. roughly translated – The posts by dk provoke a ROTFL reaction in me. Every. Single. Time. 9. Diary of a Mad Patent Translator – Let’s face it, this blog is good. And well-written. And the author knows what he’s talking about. What more can you ask of a blog? 10. Daniel Greene’s Blog-o-Rama – I recently discovered this blog by an ASL interpreter when the author used a post of mine as inspiration. Very interesting. 11. Field Notes – This blog by conference interpreter Ewandro Magalhaes has been dormant for a while. However, the other day a post came out that I took straight to my Portuguese class, since I couldn’t understand a word of it. As it turns out, it’s full of Brazilian slang that even my teacher couldn’t decipher in some cases! 12. Language Hat – This is a very recent discovery. The author apparently speaks many languages and owns several hats (13 and 9 respectively, by his own count). This blog still makes me feel a bit dizzy when I read it. I can’t believe this man posts daily. 13. 1000 Lives in 100 Words – This community blogging project is worth checking out. If you look closely enough, you may see a couple of familiar faces among the 100-odd contributors to the project so far. 14. Mox’s Blog – I need a laugh from time to time, and this is where I get it (when there’s nothing new on roughly translated). 15. Chemistry 335 – This is my brother’s blog (no, I’m not the only blogger in the family!). In this blog, he replies to comments and queries from his senior chemistry students. I have to admit I don’t actually read this one, since I haven’t a clue what my brother is on about 99% of the time (scratch that: 100%). So there you have it, that’s my list! 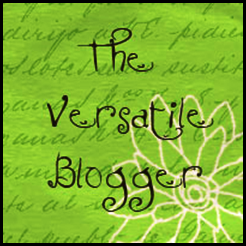 All that is left to do now is notify the lucky winners that they have been awarded the Versatile Blogger Award. I can’t wait to hear back from Joschka, Jeff, Joe and company (not to mention my dear brother…). General Knowledge – How Much is Enough? I’m sure we’d all agree that professional conference interpreters are expected to possess what is called “general knowledge”. But how does this translate into practice? Does “general knowledge” simply mean keeping up with the latest headlines? What information sources can student interpreters use to add to their knowledge? And most importantly for aspiring interpreters: what degree of general knowledge is one expected to show at an aptitude test or final exam? These are the questions I am going to examine in today’s post. I’m warning readers now: this is a long post, but I decided against dividing it up into parts in favor of tackling these related ideas in a single post. Please stick with me to the end! I once heard it said that an interpreter’s job is not simply to read the headlines, but rather “the headlines, the bylines, the back page, the sports scores, the financial pages, the arts and fashion supplement, the science column, the book reviews…”. Although a bit tongue-in-cheek, there may be some truth in this claim. On at least two separate occasions, I have been approached by total strangers at the end of a long flight, who asked me in disbelief, “Did you actually just read that entire magazine from cover to cover?” Apparently the practice of reading every single article in a magazine or newspaper is not that widespread among the general public, although I’d argue interpreters should get into the habit of doing precisely that. You never know what might come in handy in the booth. I’d go further and say that interpreters should not fall into the habit of getting their information from a single source. Of course, it’s good to have your favorite daily newspaper or news website to peruse over breakfast, but it is equally important to obtain a broad range of views from different sources. Global activists may be happy reading Noam Chomsky all day, and neoliberals might never consult anything but The Economist, but as interpreters, we should probably be reading both – and a range of other publications as well. What follows is a non-exhaustive list of the periodicals that I try to read on a regular basis, as I have found that together, they present a broad range of views and cover many issues that are not in the headlines: Le Monde Diplomatique (which is available in 25 languages and 70 different editions! ), Courrier International, The New Internationalist, The Economist, The International Herald Tribune, Harper’s, The New Yorker, and Scientific American (this last one is more for my own enjoyment, but I do sometimes pick up stuff there that comes in handy in the booth!). Readers of this post are encouraged to add their own personal favorites to this list in the comments section. It goes beyond periodicals, of course. Books introducing specific subjects to the layman can be very useful in filling gaps that we interpreters identify in our knowledge. Just to give a couple of examples of books that might come in handy for student interpreters, the Penguin History of Economics and the Economist’s Guide to the European Union made useful bedtime reading for me over the course of my interpreter training (albeit in older editions), as did a book called Internationale Organisationen from Heyne Verlag – in German, obviously, and possibly now out of print, since I can’t find an online reference. But it offered a great overview of the UN, EU, NATO, the GATT/WTO and NAFTA. This Handbook on International Organisations, coming out soon in English, might do the trick for many. A fellow instructor at the ULL also recommends students get hold of a good world atlas – not just for the all-important place and country names, but for all the additional information on population movements, main industries, weather patterns, etc. The CIA’s World Factbook is also great for information on specific countries. Resources that fill in gaps in our knowledge of the cultures that go with our languages are also useful. When I moved to Spain and started learning Spanish, for instance, I found I urgently needed to get up to scratch on contemporary Spanish issues: The Spanish Civil War by Paul Preston and The Ghosts of Spain by Guardian correspondent Giles Tremlett went a long way to filling that particular gap. I haven’t even begun to mention non-print materials. It goes without saying that the internet is a valuable source of information. These days, the websites that go with the periodicals and guides I have mentioned above are in many ways even more informative than the print versions. Again, readers are encouraged to share with me their favorite websites and online resources in the comments – where do you go in cyberspace to find out what you need to know? Of course, as time goes on and one moves beyond training and into the field of professional practice, the learning doesn’t stop, it just becomes more focused on your clients’ specific fields. But the whole issue of professional specialization is probably best left for another day. Let’s look at general knowledge as it relates to the aptitude test now. What sort of “cultural baggage” will a candidate to an interpreter training course be expected to be carrying? The best way to respond to this question would be to provide readers with a list of the general knowledge questions that I intend to ask in a couple of weeks at the University of La Laguna’s aptitude tests – but that wouldn’t be fair, would it? What I’ll do is publish that list after the tests have been run, at the end of June, and readers can test their own knowledge against it then (author’s note: you can now find that quiz here). In the meantime, let me just say that this part of the test is really very difficult to prepare for. Essentially, at this stage in your personal and professional development, either you will have this “baggage” or you won’t. You can’t cram for a general knowledge test. I do know of one candidate who apparently has been spending 20 hours a week in the library since January trying to expand her knowledge in preparation for the admission exams. I can only hope that after all of that, her languages are at the necessary level, because at the end of the day, being able to recite all of the European Commissioners in reverse alphabetical order won’t help you much if your language proficiency doesn’t meet the required standard. Fortunately for those candidates who have not been hidden away in a library for the past several months, the bar is not set overly high when it comes to general knowledge quizzes at aptitude tests. You would have to be pretty uninformed indeed to fail an aptitude test on the strength of the general knowledge component alone. Examples from real life: a candidate with Dutch who couldn’t name any famous Dutch people except Ruud van Nistelrooy and Frank Rijkaard didn’t fail the aptitude test due to his lack of world knowledge, but because he completely froze during the memory exercises. Similarly, the one who thought Dar es Salaam and Dharamsala were one and the same place may have looked pretty silly, but he didn’t get flunked for it. In sum, as I said in my previous post on aptitude tests, if you show strong passive and active language skills, good composure, and perform well on the memory component, but reply incorrectly to the general knowledge questions, you will probably be accepted on the course – with a stern warning to pull your socks up and get informed in time for the finals. Okay, so what about the finals? However prepared you might be (or not) for showing off your general knowledge at the aptitude test, the good news is that you have eight months (and on some courses, longer) to get yourself informed and ready for those finals, where the bar will be set considerably higher. And you will not be alone in your endeavor. Instructors (and fellow students – it is a joint effort, after all) will be working hard to make sure that you not only learn the nuts and bolts of interpreting, but also broaden your knowledge in preparation for the day when you get into the booth for real. At the University of La Laguna, each week is dedicated to a specific field of knowledge. During the week, students are expected to read up on the topic, prepare and share glossaries, and interpret speeches on various aspects of the field. Topics range from tourism to health care, from international finance to agriculture and fisheries, from telecommunications to sports. By the time the final exams arrive, students will have hopefully absorbed a considerable amount of knowledge in each of these fields, which they can then use as the basis for further learning and experience – and for acing their exams! Of course, no matter how much students learn over the course of their interpreter training, it’s hard to know just “how much is enough” – which brings me back to the title of today’s post (and to my conclusion, weary readers will be pleased to hear!). This year’s crop of students, currently preparing for their finals, are of course wondering whether all the general knowledge they’ve acquired over the past year is going to be enough to get them through next week’s exams without getting egg on their face. The best way to explain the level of knowledge that is expected at the end of a training course is by using an example. Let’s take fisheries – every interpreter’s favorite subject – to illustrate just how general knowledge evolves over the course of the training year, and what will be expected by the end. At an aptitude test, candidates might be expected to recognize the various species of fish and seafood that are likely to appear on a restaurant menu in their different languages – say, “tuna” or “lobster”. They might also be expected to know that the world’s oceans are being overfished. And that’s about it, really. By the final exam, students should be able to readily identify a significantly higher number of species of fish beyond the menu mainstays (though not all the ones you can find on Fishbase! ), will have learned the terminology used to describe some fishing gear and practices, will probably know more about which species are being overfished where (e.g. bluefin tuna in the Atlantic, Patagonian toothfish in the Southern Ocean), will have familiarized themselves with the EU’s Common Fisheries Policy, will have heard speeches on other fisheries-related issues such as fish farming and whaling bans, will have hopefully at least visited the Greenpeace and Sea Shepherd websites, and will probably have heard in passing of the IWC, the ICCAT, the CCAMLR and a few other fisheries organizations as well. And if something “fishy” turns up on their final exam which they have not heard of before, they will know enough to fake it! So there you have my own personal answers to the various questions raised at the beginning of this post. For those of you still with me, thank you for sticking it out to the end. For aspiring interpreters out there, hopefully this information will help explain to you just “how much is enough”.